Erika N. Fountain & Jennifer L. Woolard, How Defense Attorneys Consult With Juvenile Clients About Plea Bargains, 24 Psych. Pub. Pol'y & L. 192 (2017). Criminal cases—or for that matter civil ones—don’t go to trial any longer. For a variety of reasons, in criminal matters, plea bargaining has replaced trials. This has occurred in both juvenile and adult cases. Most juvenile and adult cases differ significantly, however. The justification is the alleged purpose of juvenile courts to rehabilitate youth. This rehabilitation supposedly involves the judge as an understanding, parent-like mentor to the child. Because plea bargaining effectively bypasses this process, the study of plea bargaining’s effect on youth is particularly important. Currently, the special procedures in juvenile court—such as confidentiality—have led to little check on the prosecution of youth. This has resulted in some bad consequences including the false detention of children, as illustrated in the Kids for Cash documentary. Erika Fountain and Jennifer Woolard have endeavored to study the plea-bargaining process for juveniles. Their article is part of a series of work, some of which is included in a dissertation. In the article, the authors describe the results of interviews with defense attorneys who represent juveniles. Before detailing these conversations, they cite some of the literature that shows the difficulty of decision-making by youth who undergo significant change during their childhood. They also point out that, though youth are under the control of their parents, they must independently decide whether to a take a plea. Attorneys can make this situation more palatable. Previous research has shown, however, that juveniles are overly swayed by their attorneys’ recommendations. This article is the first to study the strategy that attorneys use with juveniles when giving them advice about plea bargains. Attorneys are specifically tasked with the job of preparing their clients to make “knowing, intelligent, and voluntary plea bargain decisions in juvenile court.” In their study of juvenile plea bargaining, the authors focus on a single public defender office on the east coast. Studying one office permitted them to limit variation among lawyers by keeping consistent matters such as caseload. In the semi-structured interviews, the authors asked the eighteen participating lawyers questions regarding the plea process, questions about their most recent client, and general questions about working with juveniles. So much about juvenile plea bargaining can be learned from this important study. For example, prosecutors made most plea offers on the day of trial such that lawyers reported lacking sufficient time to discuss the offers with their clients. The authors recognize that these circumstances are problematic. I would argue that they necessitate action by the states—specifically, the enactment of laws requiring juveniles be given sufficient time to consider plea offers particularly to ensure that they understand them. Indeed in the context of age discrimination there is a law that requires older people be given a certain amount of time to decide whether to take a severance agreement. In the current context of youth losing their freedom, I would argue that at least some similar protections should be put into effect. The authors also describe the timing of the lawyers’ discussion of certain subjects with their juvenile clients. It was interesting to learn that many lawyers did not discuss what clients were giving up until after they decided to take a plea. Additionally, only about a quarter of the lawyers described collateral consequences to their clients, such as the possibility of limited educational opportunities and job prospects if they pled guilty. Also studied were the top reasons for juveniles taking pleas. They included to avoid incarceration and to prevent having to see witnesses testify against them. Additionally, two more reasons were mentioned—to avoid the time a trial would take and to avoid prosecution in adult court. The latter, which was reported by 22% of the lawyers who were interviewed, is highly problematic for its coercive nature. The study also describes different approaches to how possible pleas can be discussed with youth. In explaining these approaches, the lawyers in the study acknowledged their significant influence over their client’s decisions and juveniles’ general inability to look into the future very far. The authors conclude that policy changes need to be considered. These include additional time for a youth to consider a plea offer along with an approach to ensure that the juvenile understands the plea offer and the possible consequences. This is an extremely important study that may incentivize states to require prosecutors to slow down plea bargaining in the juvenile context. If the states are serious about the so-called rehabilitative process for juveniles, they should deliberately and carefully proceed with plea bargaining with youth. 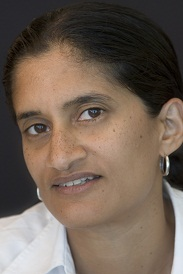 Cite as: Suja A. Thomas, Plea Bargaining with Juveniles, JOTWELL (April 9, 2019) (reviewing Erika N. Fountain & Jennifer L. Woolard, How Defense Attorneys Consult With Juvenile Clients About Plea Bargains, 24 Psych. Pub. Pol'y & L. 192 (2017)), https://courtslaw.jotwell.com/plea-bargaining-with-juveniles/.